Ferghana.Ru correspondent met with Henry Plater-Zyberk, senior analyst of the British Academy of Defense and specialist in Russia and Central Asia, on the eve of the summit of the Shanghai Organization of Cooperation in Bishkek. Ferghana.Ru: What do Great Britain and EU think of the policies Russia, the United States, and China pursue in Central Asia? Henry Plater-Zyberk: To start with, I do not like the very term Central Asia. There are five sovereign countries, each with its own interests and aspirations. Great Britain pursues a different policy with regard to each country of the so called Central Asia. Our interests in the region are mostly economic. London is worried by radical groups operating in the region and the problem posed by drugs. Where these two matters are concerned, Great Britain supports all five countries of the region as well as Beijing, Washington, and Moscow. Ferghana.Ru: Do you perceive anything new and interesting in the recently adopted EU strategy in Central Asia? Henry Plater-Zyberk: I'd say that we should be patient in carrying out whatever we've set out to do and accomplish. I'm not talking of EU initiatives only, it is a general principle. We should be careful with our resolute policy in the region. Our efforts here should not be concentrated on diplomats and all sorts of EU functionaries who are driven in posh limos and who lease expensive offices - with preciously little if anything to show for it. I'm not at all confident that a common policy for the whole region is the ticket, if you know what I mean. Ferghana.Ru: What does Europe think of the Shanghai Organization of Cooperation? Does it view the Organization as a threat? A potential ally? Does it care? Henry Plater-Zyberk: You'd better ask some functionaries in Brussels. As for me, I think the Organization has a vast potential. I do not think it intends to become a military alliance. No such threat exists because two key members (Russia and China) do not need it. I'd even say that they do not trust each other sufficiently to form a military alliance. The Organization may become a trade partner for the European Union even though it will be extremely difficult because every member in both structures has its own economic and political interests. If you ask me, viewing the Organization as a sort of rival to NATO (the idea suggested by The Times, for example) is a mistake - to say the least. Ferghana.Ru: Do you expect any radical steps or momentous decisions from the Bishkek summit? Henry Plater-Zyberk: No, I don't expect anything like that. Still, it depends on what you mean by "radical steps" of course. Ferghana.Ru: In what direction do you think economic component of the Organization will develop? Considering all the discord existing within the Organization, do you think it will manage to work out a common policy, economic and political? Henry Plater-Zyberk: Overall policy of the Organization will be determined by interests of Russia and China. As a matter of fact, this policy may even fail to take into account interests of other member states. The way I see it, every member state should decide exactly what it needs and what to do about it. Instead of waiting for others to solve its problems for it, that is. Every country needs the freedom to address its problems and respond to challenges with help from other countries or international organizations. Ferghana.Ru: Do you think membership in the Organization may be offered to some other countries in the near future? Henry Plater-Zyberk: Why not? Ulan-Bator is a fine candidate for full membership even though Beijing views Mongolia as Moscow's strategic partner. Ferghana.Ru: What about India and Pakistan? Henry Plater-Zyberk: Offering membership to one of these two countries and denying it to the other is a problem. Offering membership to both countries simultaneously means that Cashmere will be a problem of the Organization. And the Organization does not really need it. Had the Organization been prepared to expand, it would have told India and Pakistan to sort out their problems first and then apply for membership. Ferghana.Ru: Can Iran, Pakistan, India, and Mongolia participate in the Organization in a capacity different from that of observer's? 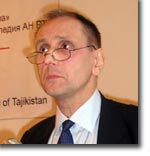 Henry Plater-Zyberk: I have already assessed potential capacities of membership of Mongolia, India, and Pakistan. I'd be surprised to see the Organization offering full membership to Iran. Europe and the United States will hit the roof. I repeat: it is a problem the Organization does not need. Lots of changes should take place in Iran before it becomes an asset rather than a liability for the Organization.